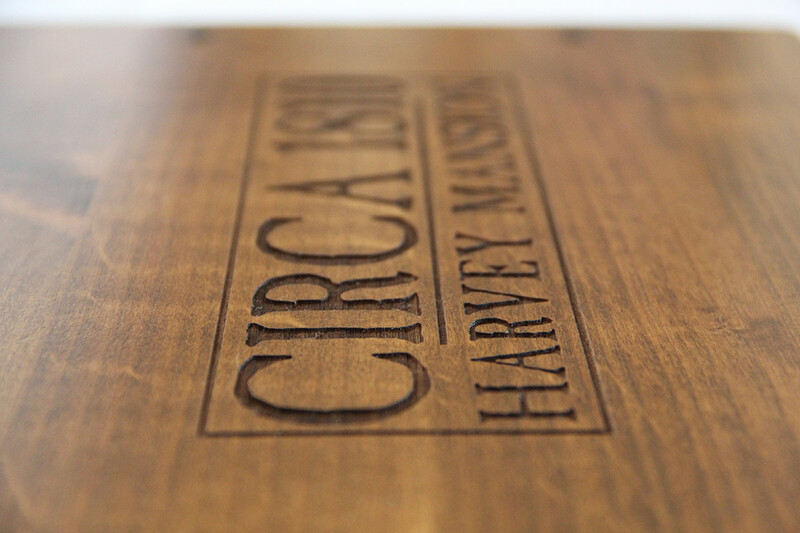 Create a strong branding statement by adding a laser engraved logo or custom art to any our wood or hardboard products. Laser engraving burns the image directly into the substrate and has a tendency to darken the area that has been lasered. Each material reacts differently to laser engraving. There are no size restrictions on laser engraving and images may go right to the edge of the material. Oversized art is quoted on a per project basis. Please contact us for details. Some of our products require an Engraving Setup Charge. Please see individual products for more information.